There's a 37-piece Rick and Morty orchestra coming to the Adult Swim Festival - Pop It Records - NEW MUSIC EVERYDAY! The Adult Swim Festival has revealed its line-up for the inaugural year, which includes the debut performance a 37-piece Rick and Morty orchestra. The popular television show has garnered a cult-like following since it launched in 2013, but now it will be brought to life in a new way at the Adult Swim Festival with a performance called the Rick and Morty Musical Ricksperience. 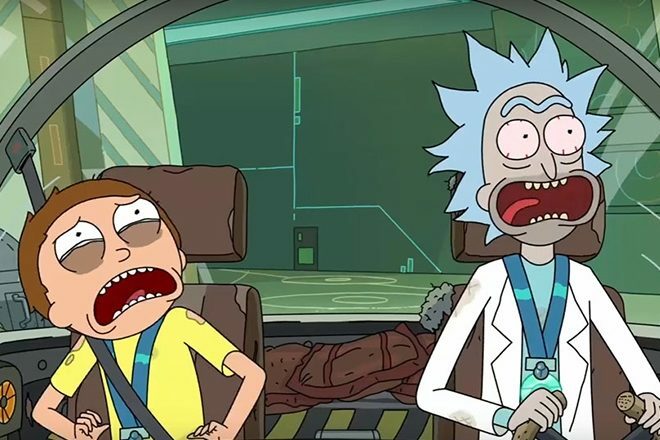 Adult Swim revealed what to expect from the Rick and Morty Musical Ricksperience in a press release: "For the first time ever, see composer Ryan Elder (The man behind Rick and Morty's music) and some very special guests bring your favorite Rick and Morty songs to life in melodic harmony in sync with an episode. There's going to be an actual orchestra, with trombones and stuff." Also included on the inaugural Adult Swim Festival line-up are 42 musical and comedy performers including Run the Jewels, Shigeto, Clams Casino, Com Truise and Flying Lotus' Brainfeeder label showcase with Dorian Concept, Flying Lotus in 3D, Georgia Anne Muldrow, Hannibal Buress and Thundercat.